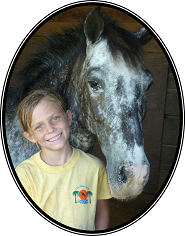 Blue Water Farms’ lesson programs range from beginner riders to those who are riding competitively. Our young rider program is taught in a very fun and relaxed style. Students are taught how to groom and tack their horse. They are also educated on how to care for their horse and equipment properly. All our lesson horses and ponies are well mannered and experienced mounts. Our students develop lifelong skills and friendships that will last a lifetime. Blue Water Farms also offer programs for the pleasure rider to the competitive rider. We have students who compete at the local schooling shows to the AA circuit. Whatever your aspirations aqre Blue Water Farms can take you there. 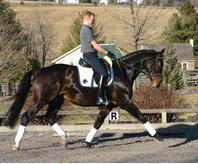 Our instructors teach Hunter and Jumper, Equitation, Dressage and Eventing. Let us help you perfect your skills, taking your riding to a new level. Blue Water Farm instructors are all certified and accomplished riders in the discipline they teach. We will help advance your skills for pleasure or prepare you for competition. We offer many additional services to our showing students including full show prep and round trip transportation to all show circuits BWF competes in. Come join our show team and perfect your riding skills. 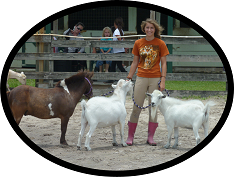 Florida’s best horse camp is now enrolling for the afterschool program for the 2014-2015 year! Pre-registration is required for the 2014-2015 program. We offer free after-school pick up from local schools. Our program will include supervised homework sessions. Riding lessons during the aftercare program are available at a discounted rate. We offer optional music lessons for a variety of instruments, and all learning levels. We will offer free pick up from local schools. Our other fun activities include swimming, animal interactions, playground time, and organized games. Pick-up from the program runs until 6:30pm.